Headed to sun-soaked Coachella this year to rock out all weekend long? Then it's time to stock-pile your beauty arsenal. Why? Because let's face it: partying nonstop and camping out for a few days straight might leave you feeling grimy, tired, and sweaty. Fear not, though -- here are five beauty hacks that'll keep you feeling and looking your best no matter what. This tinted lip balm contains moisturizing and protecting ingredients like vitamin C and E. Plus it offers buildable coverage. This tinted lip balm not only contains beeswax to cure chapped lips, it also comes in a wide range of shades suitable for nearly all skin tones. 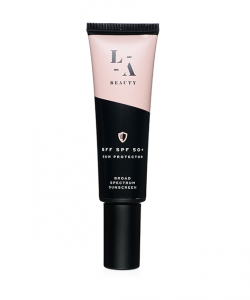 This gloss-balm contains SPF 15 to protect lips from the harsh effects of the sun. It also moisturizes lips, leaving a shimmery shine that's never sticky. This oil-free gentle facial sunscreen is formulated with ceramides and hyaluronic acid that moisturize skin throughout the day, helping to restore the protective skin barrier. This hydrating facial sunscreen provides superior broad-spectrum protection against UVA and UVB rays, oxidative stress, and pollution. What's more, it contains self-balancing color that makes skin look smooth and evens out skin tone. This facial sunscreen that's specially formulated for sensitive skin contains a unique all-absorbing complex that keeps skin looking matte. It also contains powerful antioxidants to help protect skin from free radicals. This oil-free and non-greasy body sunscreen offers broad-spectrum UVA and UVB protection. It's formulated with mango fruit extract, shea butter, and vitamins C and E to nourish and moisturize skin. This very water resistant body sunscreen is formulated with zinc oxide, offering full protection from UVA and UVB rays. It's also chemical-free, paraben-free, and fragrance-free. This gentle non-irritating body sunscreen isn't just for kids -- it's photostable hypoallergenic formula provides broad-spectrum UVA and UVB protection that's water resistant for up to 80 minutes. These face wipes, formulated for sensitive skin, remove dirt, impurities, excess oil, and makeup without irritation. They also contain no dyes, alcohol, artificial perfumes, or harsh chemicals. 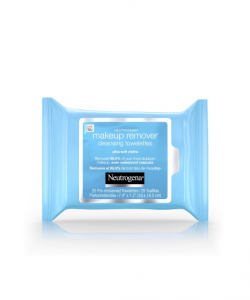 These ultra-soft face wipes dissolve 99.3% of makeup, including waterproof mascara. They'll leave your skin thoroughly clean with no heavy residue. Perfect for sensitive skin, these 98% natural face wipes help to calm and soothe skin while cleansing, removing makeup, and moisturizing all-in-one. This mineral foundation offers buildable coverage and a natural matte finish. It blends seamlessly upon application, minimizing the appearance of redness, imperfections, fine lines, and pores. This mineral foundation is the first liquid mineral makeup in the world. It has moisturizing, concealing, and mattifying properties along with an SPF of 20. This light-weight, water-resistant UV defense mist forms an invisible screen to help protect hair from sun exposure to minimize damage and dryness. The UVA and UVB filters are derived from wintergreen and cinnamon bark oils. 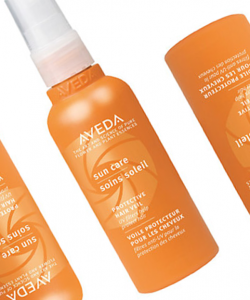 This maximum sun protection oil moisturizes and softens hair with a glossy, wet-looking shine. It's also water-resistant, and it safeguards color while hydrating hair. This sun protection spray makes hair look conditioned and super shiny while it locks in and extends the life of hair color. It's formulated with sunflower extract that provides sun protection and keeps color from fading. This dry shampoo instantly refreshes and cleans hair by absorbing excess oil. Its lightweight formula nourishes hair without weighing it down, building body and bounce. This dry shampoo revitalizes greasy, dull and lifeless hair while adding body and texture. This dry shampoo uses hydrophobically modified cornstarch to absorb oil, leaving hair feeling clean and refreshed. Its Refractive Index Matching Technology encourages even light refraction across hair, for an even and sheer finish. Shine like the superstar you are! Coachella is all about fun in the sun. 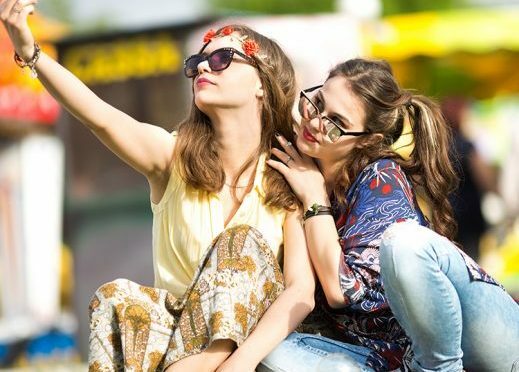 While you might get a bit sweaty, grimy, and dirty dancing the night away, a few simple hacks can make your festival beauty routine super easy. Follow the above tips, and you'll look beautiful no matter what comes your way! "12 Best Face Wipes," Total Beauty, n.d.
"12 Best Sunscreens for Your Face," Total Beauty, n.d.
"Festival Beauty Survival Guide," Hello!, April 8, 2015. "The 10 Best Mineral Foundations," Harper's Bazaar, June 5, 2017. "The Best Tinted Lip Balms under $10," Allure, October 2, 2014. "Yes, Your Hair Needs Protection, Too," Elle, June 29, 2017.